INDICATIONS AS AT 11 May 2001: Main clinical manifestations of urate/uric acid deposition. These are gouty arthritis, skin tophi and/or renal involvement through crystal deposition or stone formation. Such clinical manifestations may occur in idiopathic gout, uric acid lithiasis, acute uric acid nephropathy, neoplastic disease and myeloproliferative disease with high cell turnover rates, in which high urate levels occur either spontaneously or after cytotoxic therapy, certain enzyme disorders which lead to overproduction of urate and involve hypoxanthine guanine phosphoribosyltransferase including Lesch-Nyhan syndrome, glucose-6-phosphatase including glycogen storage disease, phosphoribosylpyrophosphate synthetase, phosphoribosylpyrophosphate amidotransferase. 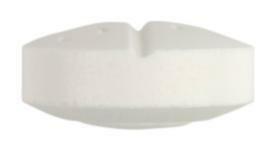 Progout is indicated for the management of 2,8-dihydroxyadenine (2,8-DHA) renal stones related to deficient activity of adenine phosphoribosyltransferase. 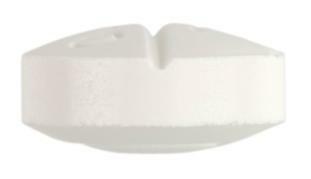 Progout is indicated for the management of recurrent mixed calcium oxalate renal stones in the presence of hyperuricosuria, when fluid, dietary and similar measures have failed. 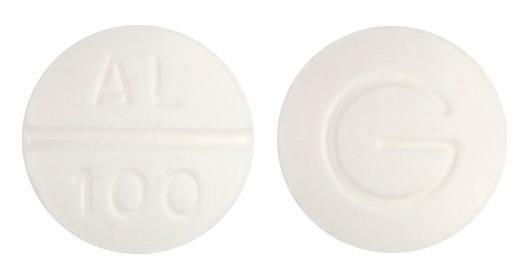 11 mm white normal convex tablet marked AL/300 on one side, G on the reverse. 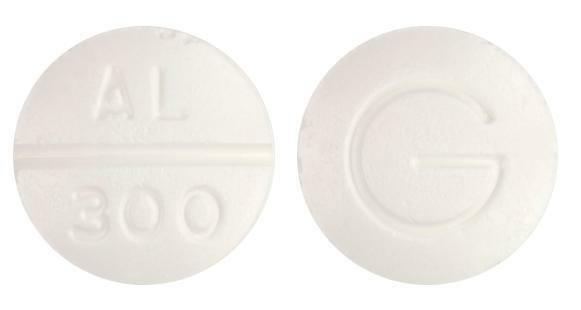 9.5mm white normal convex tablet marked AL/100 on one side, G on the reverse.